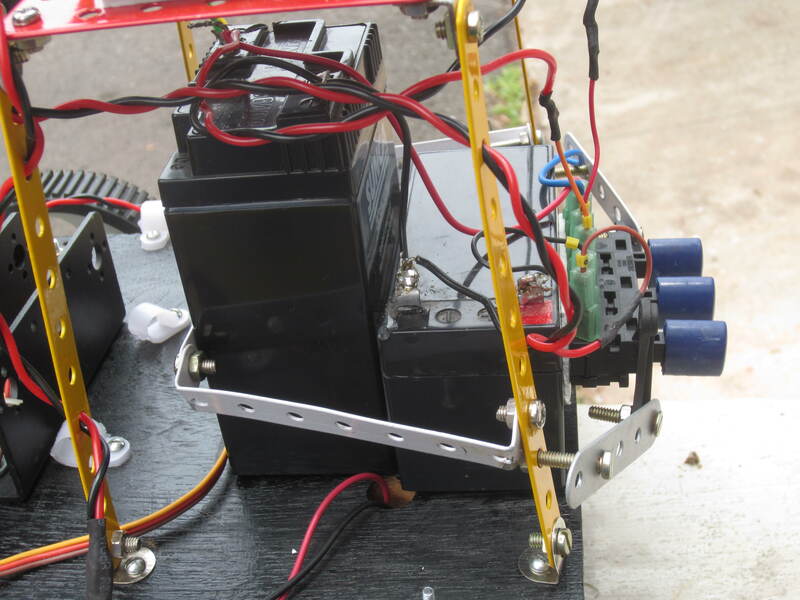 Power for the 4 high torque DC motors comes from a single 1.3Ah 12 V battery. The second battery (the taller one) is a 4.5 Ah 6V battery that will power the micro-controller unit (an Arduino Mega) and the six servos that control the robotic arm. Once basic testing operations are completed, I will add two more servos for a pan-tilt sensor mechanism (wireless camera/ sonar ranger/ IR sensor etc) that will also draw power from this 6V battery. After successfully completing this superb online course from Stanford University on Machine Learning, I am now quite confident with designing and programming neural networks. Also, playing around with the incredibly powerful openCV library has got me experimenting with computer vision. If I were to try and put these two powerful tools together, and the most obvious outcome would be intelligent, vision capable robots. But before I get into any of the complex programming needed to create these robots, I first need to build myself a proper ERP, an Experimental Robotic Platform. So this weekend, I spent most of my time working on an ERP chassis……….